When you work within or establish a new business, what makes you the happiest? For Eri Yahagi, the owner of Patisserie Yahagi at Church Corner mall in Upper Riccarton, happiness comes in knowing that her customers enjoy her desserts and cakes, but especially when they pass that joy on to their dearest people. These were posted on the Facebook page of one of her customers on Valentine’s Day. And so Eri will continue to bake her desserts and cakes to make people you love like your partner, family and friends happy. 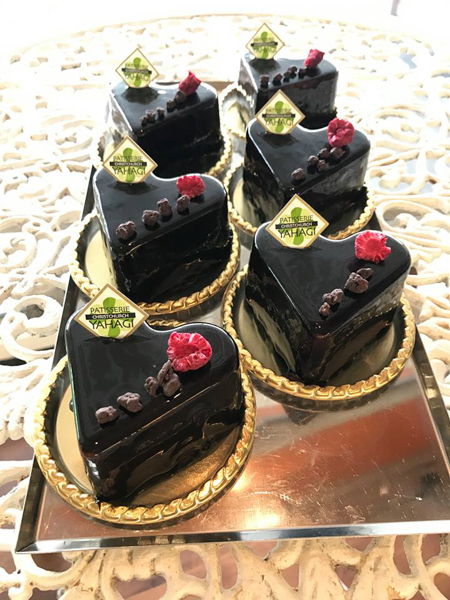 Who’s your special someone that you want to treat with Patisserie Yahagi’s creations?